Usually, dubstep/chiptune are not things I’m really into. Well okay, I love chiptune but absolutely despise dubstep, though I’ve always had a soft spot for the label Monstercat. Monstercat is a label/YT channel that uploads mostly edm/dubstep music to their sites, and I genuinely like their stuff sometimes. One of my favorite tracks from their YT channel is a happycore song entitled “Rainbow Road” by a one person chiptune/synthwave project named nanobii. This artist hails all the way from Sweden and has a number of releases and songs all the way back from 2013, and in 2016, they might’ve just released some of my favorite tracks this year, in their new 2 track release titled “U&I/Zero-G”. 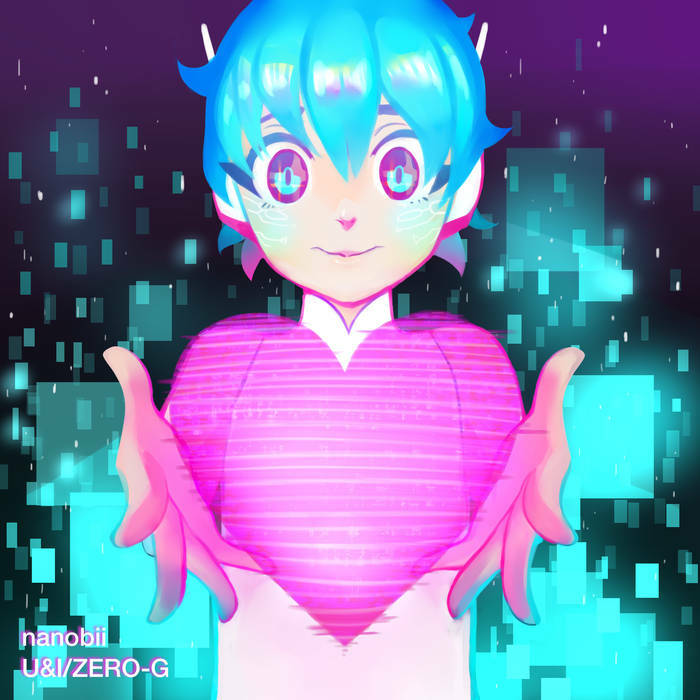 The first track is “U&I”, and it’s a very relaxing and even includes vocoder singing by nanobii themselves. It talks of love, adventure, space, and of course, space love adventures :D. It’s very bubbly and something to slow dance to, like a Daft Punk song, including the vocoders. The other song is another vocoder including singing song, entitled “Zero-G”. This is also very slow and sci-fi like, and it’s just as magical as the A-side track. I noticed in the tags of the album on Bandcamp, there was a “Disney” tag. This definitely sounds like something Disney would use indeed, excluding the vocoder lyrics with the female/male interchangeable singer of the week (the music isnt bad no, the singers are just annoying). There’s also a remix not included with the album done by an upcoming synthwave musician named Dream Fiend, who did a fantastic remix of U&I. It adds a quiet layer in the opening song, and it kinda sounds like old nu-disco bands, which Dream Fiend tends to do (and by that, I mean he remixes songs to sound like nu-disco songs). This release is a magical journey through space with your interstellar girlfriend. Have an adventure, hypersleep forever, love is infinite among the stars thanks to nanobii.